Iran shares in the world’s largest natural gas field, a resource the country’s long serving Oil Minister, Bijan Namdar Zanganeh, is determined to fully exploit. He has pushed to restore crude oil production and forged a major deal with Total SA with this aim at its heart. Zanganeh has the confidence of President Hassan Rouhani, who proposed his reappointment to Oil Minister as part of his cabinet. Zanganeh, a 65-year-old engineer, has served as Oil Minister to two presidents. Most importantly for Iranian interests, he successfully kept Iran out of cuts made in global crude production, such as those undertaken by OPEC and other major producers. Last November, when OPEC members decided to produce less oil to reduce the global glut and stabilise prices, Zanganeh negotiated special permission for Iran to do the opposite, raising output by 90,000 barrels a day. Iran’s special arrangement was to be maintained through March, when OPEC and allied producers plan continued supply cuts. Given U.S. increases in output in June, we wait to see Zanganeh’s position. Previously acting in his re-appointed role, from 1997 until 2005, Zanganeh promoted Iran’s oil and gas fields as potentially lucrative investment areas, attracting mega foreign companies such as Total and Royal Dutch Shell. Years of under-investment made oil and gas ripe for enhanced extraction. When Zanganeh returned to his post for a second time in 2013, he boosted Iran’s oil exports. Now, once more has production risen by about 1 million barrels per day, after the easing of economic sanctions against Iran last year. Zanganeh is keeping the cogs of Iran’s energy industry well oiled, now successfully enticing more investment from Total, who signed a contract last month to develop South Pars, a natural gas condensate region. 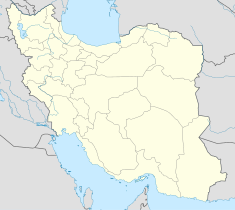 Also known as North Dome the area is Iran’s share of the largest global gas deposit. According to the International Energy Agency (IEA), this natural gas field holds an estimated 51 trillion cubic metres of natural gas and some 50 billion barrels (7.9 billion cubic metres) of natural gas condensates. This is apparently more recoverable reserves than all other fields in the world combined, making it of huge geo-strategic importance. It is also the first major investment by an international energy company since sanctions were alleviated. To further emphasise just how significant this latest development is, Total is a French multinational involved in both oil and gas and is one of seven of the world’s "Supermajor" oil companies. Because this company also has a role in the chemical industry, there could be scope for further expansion of shared interests, given this is a target area for growth for Tehran. This agreement with Total is a gate opener for more companies to sign contracts with Iran. Zanganeh is one of the country’s trusted technocrats; he graduated with a bachelor’s degree and then master’s degree with distinction in civil engineering from the University of Tehran. His career has not been without controversy, however, having been dismissed in 2005, under then-President Mahmoud Ahmadinejad, amid allegations of corruption at the oil ministry. Zanganeh denied any wrongdoing and was appointed to the Expediency Discernment Council, an advisory body to Iran’s Supreme Leader, Ayatollah Ali Khamenei. He returned as oil minister in 2013 under Rouhani. Zanganeh works to expand Iran’s petrochemicals industry also, albeit he said, “Revival of Iran’s lost oil markets is among my top priorities”, according to the Fars News agency in August 2013, shortly following his reappointment as Oil Minister. Iran was OPEC’s second-biggest oil supplier when Zanganeh was dismissed. On his return, Iran had lost its prominence, becoming the sixth-largest among this group, sanctions having taken their toll. Iran’s oil production surged in 2016, then levelled off this year, according to Bloomberg data. However, by July, 3.75 million barrels a day were being pumped here, making Iran currently OPEC’s third-largest producer. Zanganeh has devised new terms for Iranian energy investor contracts, whereby foreign partners can now benefit from more incentives to explore crude oil and gas fields. While the worst of sanctions are over, there are still some reservations among foreign energy investors, however, due to residual sanctions which still affect payments via the USD. More recently under Donald Trump’s presidency, there has been vocal opposition to the 2015 nuclear accord that eased curbs on Iran’s trading relationships. There is still a haze over production to clear, with new restrictions imposed by the U.S. in relation to Iran’s ballistic missile program. Iran has kept its side of the bargain according to international authorities involved and Iranian officials say these latest sanctions that restrict international business with Iran go against the accord agreed in 2015 with the U.S., France, Germany, the U.K., Russia and China.